Reverend Salvatore Sapienza became a Christian pastor because he believes in the way of love, peace and justice that Jesus demonstrated. 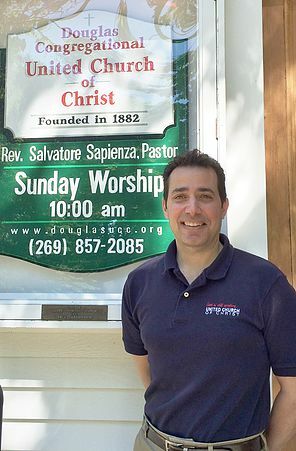 He serves as pastor for the United Church of Christ in Douglas, Michigan. His passionate speech at a community vigil this summer for the victims of the tragic shooting at Pulse Nightclub’s “Latin Night” in Orlando, Florida moved those in attendance, elevating the night of mourning to resolve them to speak against violence — and in support of LGBT-inclusive non-discrimination protections. For example, in Michigan LGBT people are not covered by non-discrimination laws — and so advocates from across the state have been working for several years on building momentum toward statewide passage of LGBT-inclusive protections. Far too often in Michigan, LGBT people are fired from their jobs, denied housing, or refused service simply because of who they are or who they love — and it’s time for that to stop. It’s time for Michigan to follow Sal’s lead and push forward on the key protections that non-discrimination laws offer. Formerly a Catholic monk ministering to gay men with AIDS at the height of the AIDS crisis in New York City, Sal left his religious order and the Catholic Church. He had become conflicted about the dissonance between his spirituality and his sexuality. “The beauty of it was that I began to explore other religions,” he said. “I lived in New York City, where there were all kinds and types of worship.” During that time he discovered the interfaith seminary, later becoming an ordained interfaith minister. 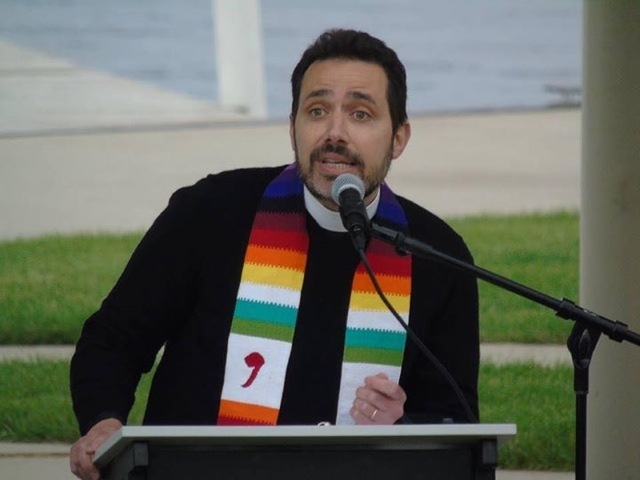 He found his perfect fit within the United Church of Christ and its gay-affirming, progressive Christian congregation.